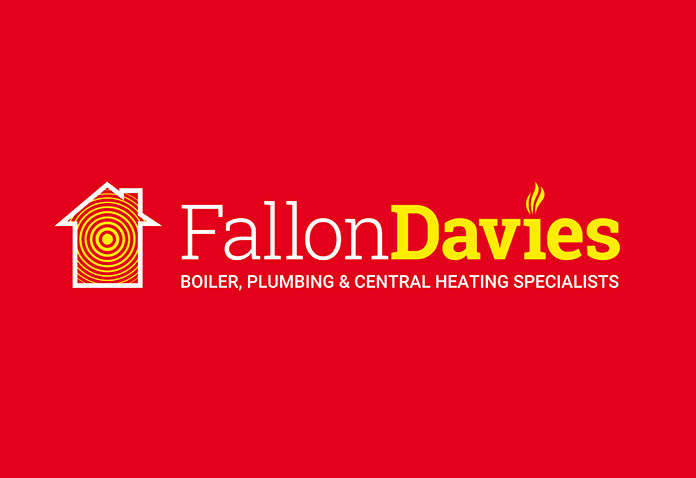 Share the post "Fallon Davies"
Fallon Davies are a team of experienced boiler, plumbing and central heating specialists based in Barrow-in-Furness. They got in touch with me recently with a request to design a new brand identity for the company. 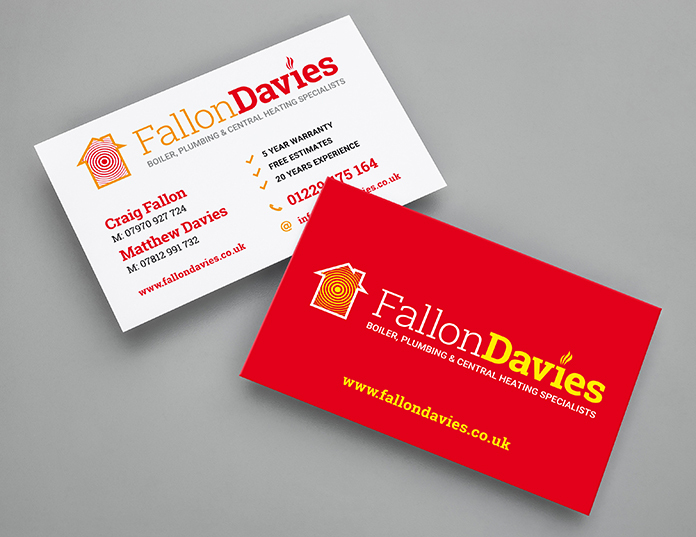 The new logo needed a strap-line which would encompass the services they offer, along with a strong colour-palette for the logo – one which would catch the eye and stand out boldly on their company vans. 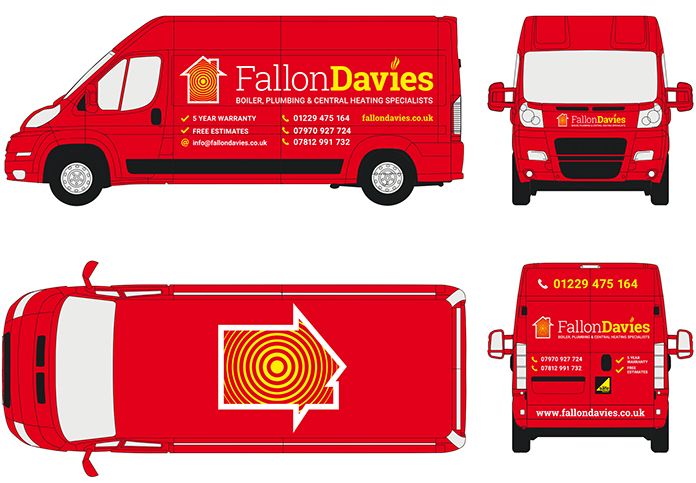 The final design was well received and applied to stationery and social media as well as their van livery.